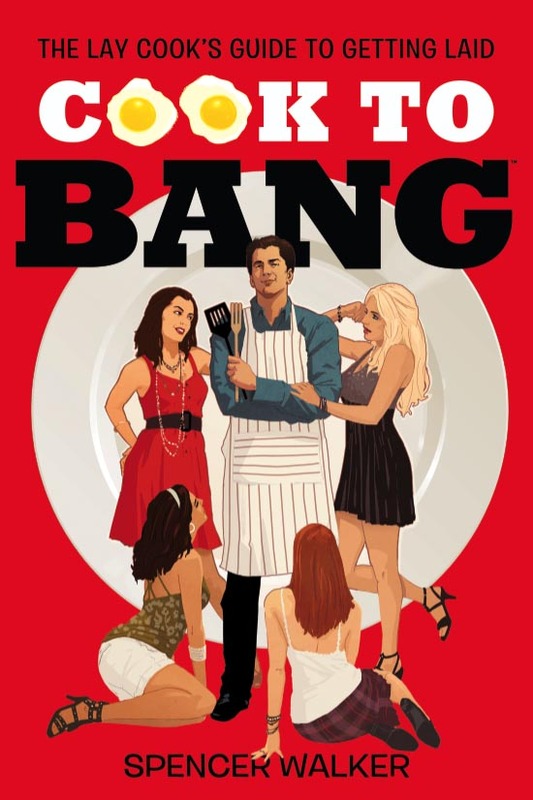 I’m not sure what it is about bok choy; I always seem to taste sweet satisfaction when I serve it to the ladies. Perhaps it’s a purely coincidental, somewhat random constant in my life. But I’m not so sure. It could be that it’s classy and reeks of sophistication. The girls I serve it to may sense that I am indeed a well-traveled man of the world. No doubt I was probably an envoy or junior UN ambassador traveling in my own motorcade complete with a bodyguard with an Austrian accent. But my gut tells me it’s a more physiological. Whether it’s the healthy chloroform, delicious taste, or the lovely green color, something magical is happening each time I grab a bok choy off the shelf. Maybe it’s best not to understand one of nature’s best-kept secrets (until now, you’re welcome!). It’s just as well so long as you enjoy the benefits of steamed magic. 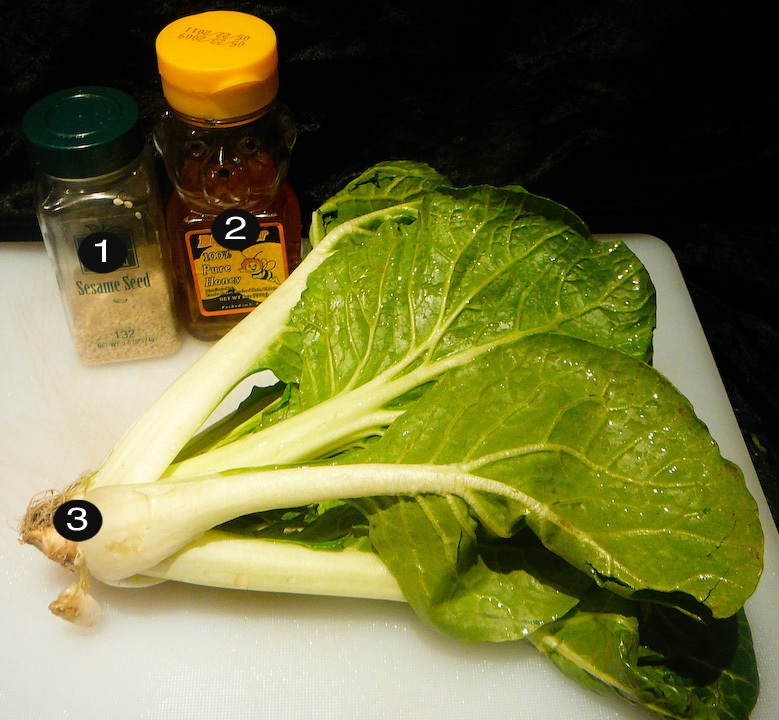 Chop off the base of the boy choy stalk to separate the leaves. Steam until the leaves begin to wilt and turn bright green. 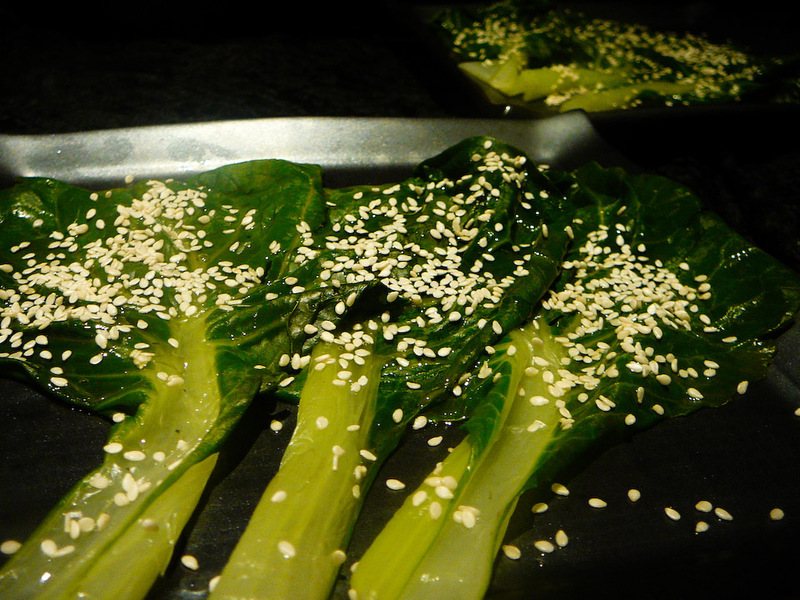 Lay the steamed bok choy leaves out wide and separate from each other. 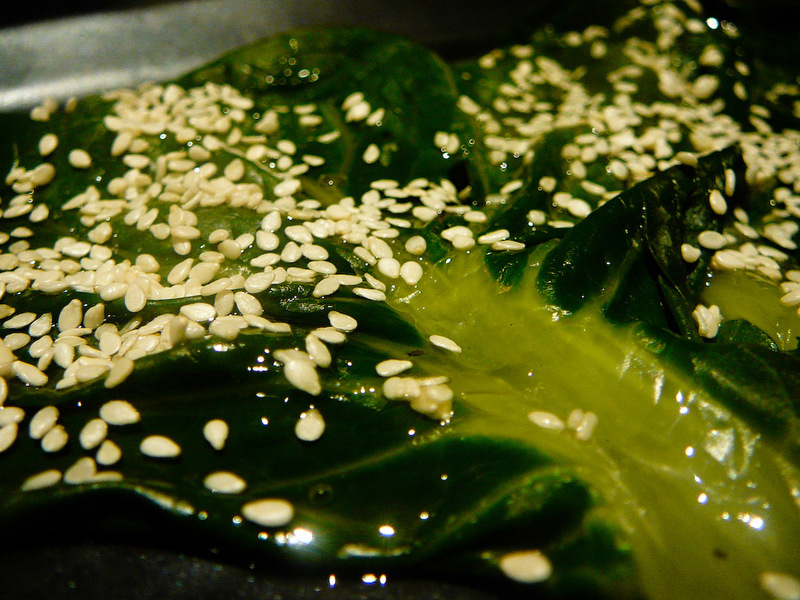 Drizzle the honey evenly over the boy choy and then scatter the sesame seeds so they stick to the honey. Serve this fine veggie side with any number of fish or meat ENTRÉES.